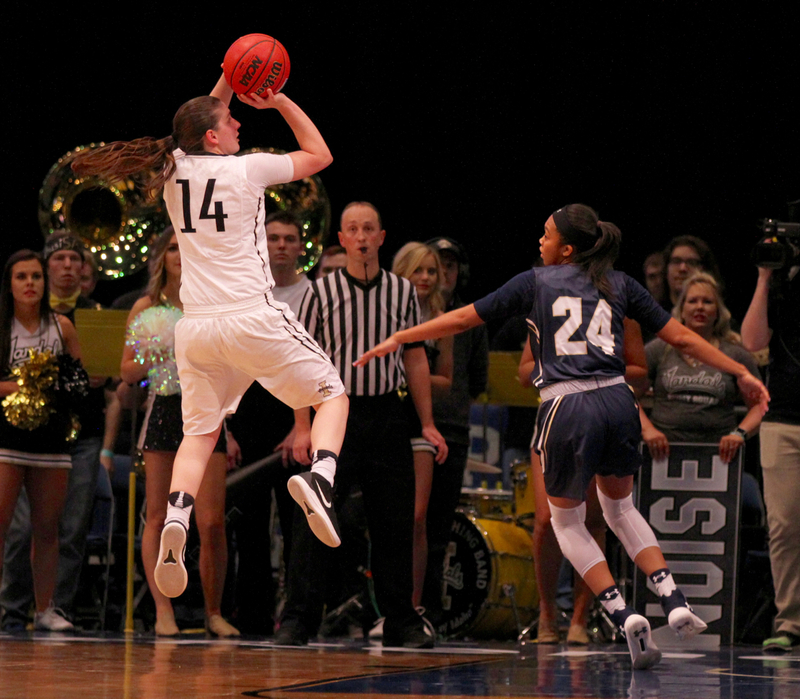 Mikayla Ferenz scored 23 points and became Idaho’s all-time leading scorer as the Vandals built a 22-point third-quarter lead and held on for a 76-68 victory over Montana on Thursday night at Cowan Spectrum in Moscow. 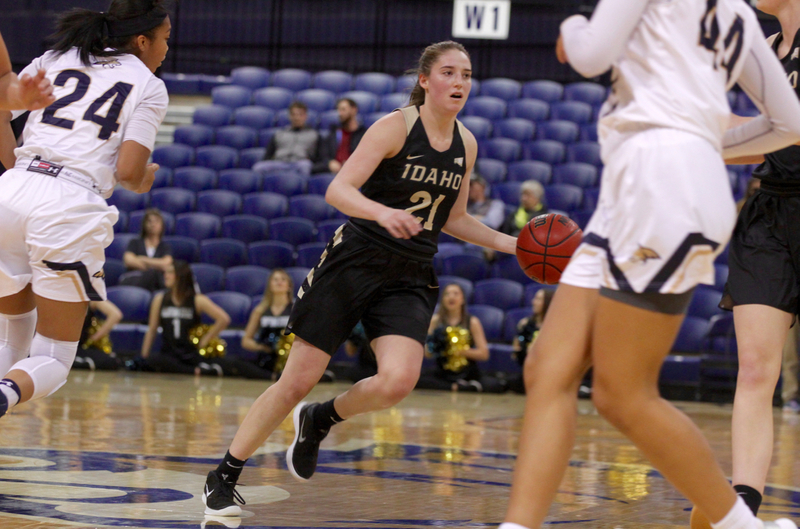 Taylor Pierce connected on five 3-pointers and matched Ferenz with 23 points as Idaho (12-8, 9-2 BSC) moved into a tie with Northern Colorado atop the Big Sky Conference standings. Gabi Harrington, who went 4 of 7 from 3-point range, scored a career-high 21 points and McKenzie Johnston added a season-high 21 for the Lady Griz (10-10, 5-6 BSC), who fell despite shooting 50 percent for just the third time this season against a Division I opponent. But it’s always going to be unbalanced math when it comes to a team’s matchup against the Vandals, who went 12 of 30 from 3-point range. 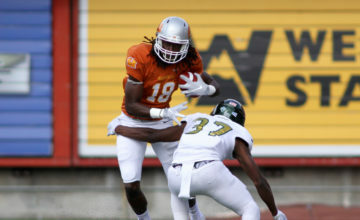 It was a game that could have gotten away from Montana, especially after Idaho built a 44-31 halftime lead and upped its lead to 58-36 midway through the third quarter. 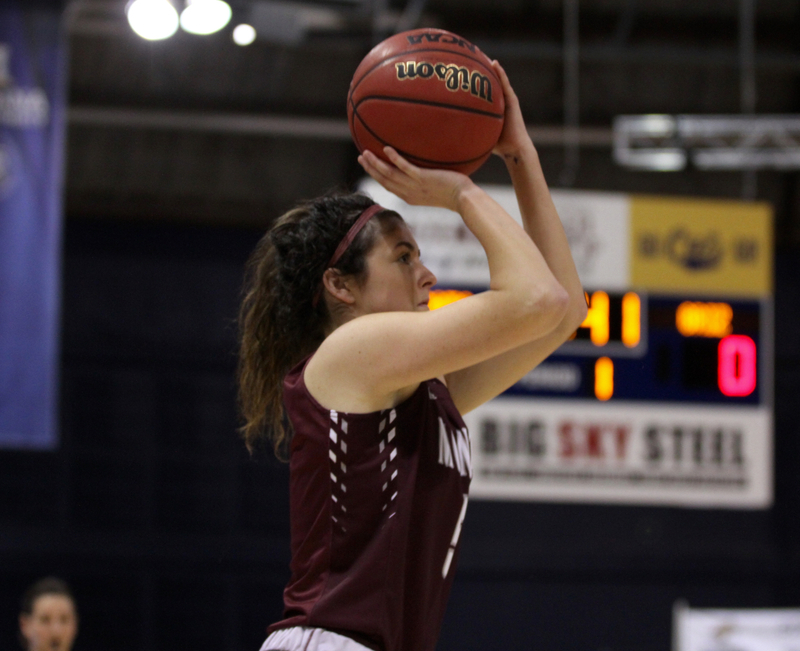 But back-to-back 3-pointers by Sammy Fatkin and Harrington allowed the Lady Griz to close to within 11 before period’s end, and Montana held the Vandals to 10 fourth-quarter points on 2-of-11 shooting. With Katie Mayhue the latest Lady Griz to be shelved by injury, Schweyen had even less to work with on Thursday. Those still standing — nine played in the game — gave her all she could ask for. Pierce tried to singlehandedly bury Montana, which knocked Idaho off in Missoula last month, 82-79, in the opening quarter, hitting three 3-pointers and scoring 13 points, but the Lady Griz went 8 of 13 to hang around. Harrington opened the second quarter with a three to pull Montana within one, 22-21, and Johnston, who looked like her old self again, hit a short-range jumper to keep it a one-point game, 24-23. But Ferenz went back-to-back from the arc to up Idaho’s lead to 10, 33-23, and the Vandals would ride that momentum to a 13-point halftime lead. “They’re a good team that’s hard to guard,” said Schweyen. “It’s hard when you’re running around those screens all night long. It’s frustrating trying to stay with them. 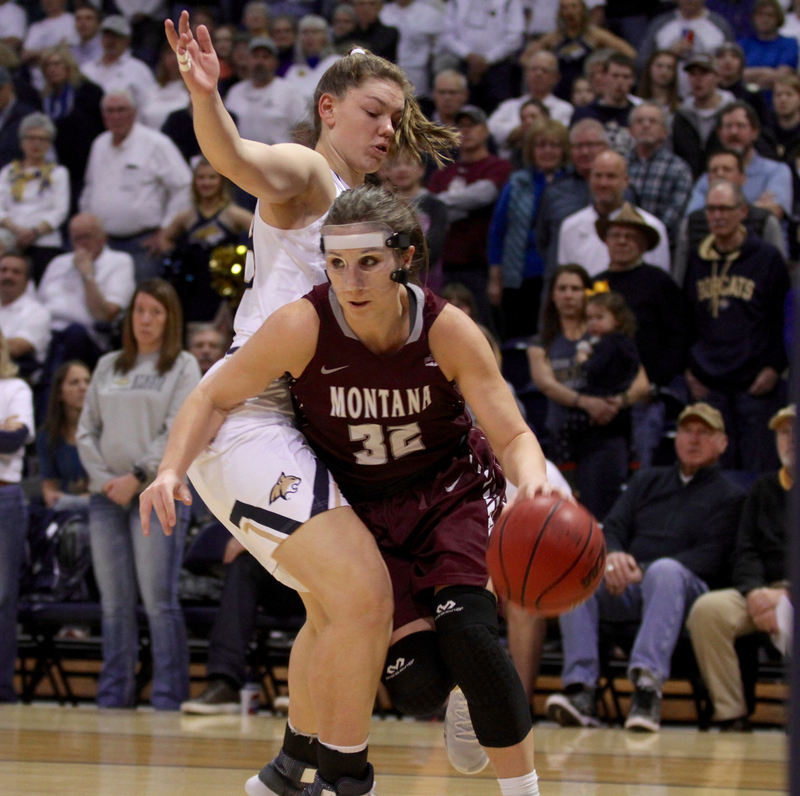 Ferenz and Pierce both hit from deep in the opening minutes of the second half to make it 58-36, and the game began to take on the feel of Saturday’s at Montana State, when Montana fell behind by a big margin and didn’t do much to come back. The Vandals grabbed 13 offense rebounds for the game. Five came during the stretch in the third quarter when they were building their lead to 22 points. “We started the second half and it was pitiful,” said Schweyen. “We were getting pushed under and they were getting offensive rebounds. But on this day the Lady Griz answered. 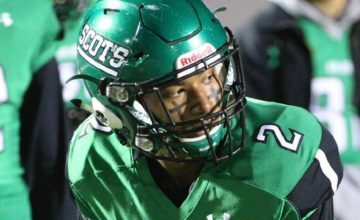 They scored eight straight points, with Johnston scoring twice. Pierce slowed the charge with a 3-pointer. That’s when Fatkin and Harrington went back-to-back to make it an 11-point game. “Boom, boom, boom. We picked a stretch to knock down some shots and make a little run. At some point we needed to make some of those,” said Schweyen. Jace Henderson and Fatkin combined to score 50 points in Montana’s home win over Idaho. On Thursday those two were held in check, with Henderson going for eight points and 10 rebounds, Fatkin for seven. It was Johnston and Harrington who picked up the slack, with Johnston going 9 for 14 and adding a team-high four assists while playing all 40 minutes. “Kenzie made some huge plays and knocked down some tough shots in the paint,” said Schweyen. “She got the dribble-jumper going tonight, which was good to see. It’s been a struggle for her with that mask. And then there was Harrington, who looked dialed in as well and aggressively looked for her shot, whether it was at the arc or at the rim. She went 8 for 13 and came within a rebound of a double-double. 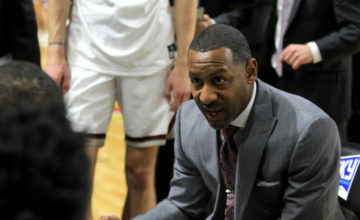 But Montana only got three points from its other starter and eight from the bench, making a fourth-quarter comeback even more difficult. Idaho made just two baskets in the final period but went 5 for 6 from the line, and that was enough for the Vandals to win for the third straight time over the Lady Griz in Moscow, something they had never done before. Now it’s off to Cheney, for meeting No. 2 against Eastern Washington, which got the better of Montana last month in Missoula, winning 68-62. The Eagles lost 61-47 at home to Montana State on Thursday. It was a two-point game at the half but the Bobcats pulled away as the Eagles went 1 for 15 from the arc in the second half. 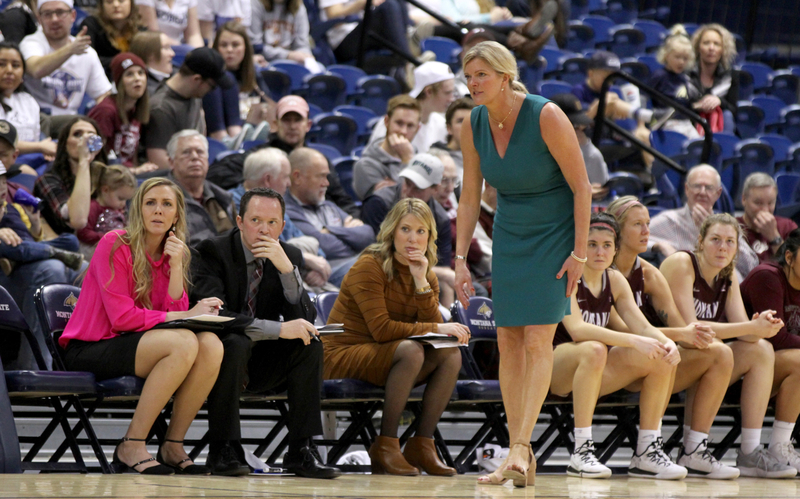 It will be an important game for sixth-place Montana, with Montana State taking on Idaho on Saturday and the Lady Griz sitting one game behind the Bobcats in the loss column as teams battle for a top-five finish before next month’s tournament in Boise. Press release courtesy of Joel Carlson – Montana Sports Information. Photos by Brooks Nuanez. All Rights Reserved.